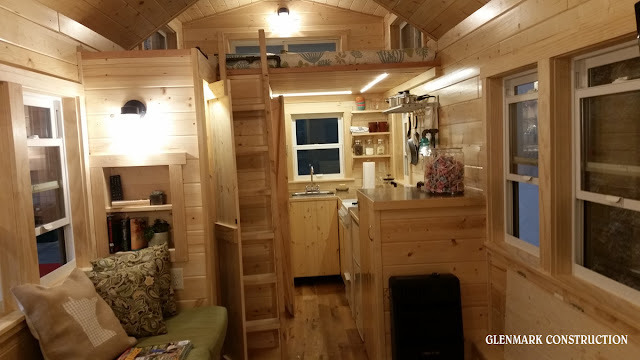 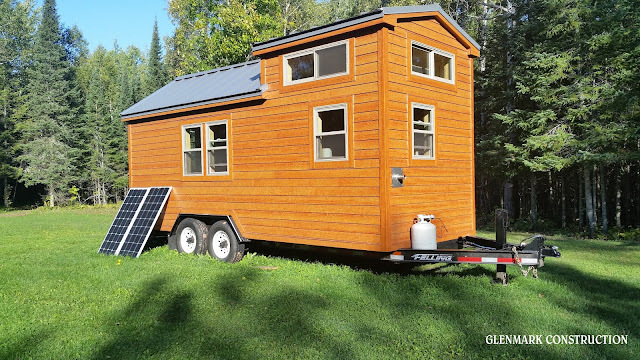 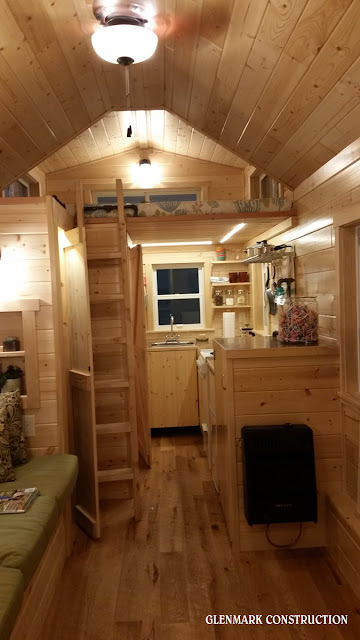 From Glenmark Construction of Minnesota, is this charming tiny house on wheels. 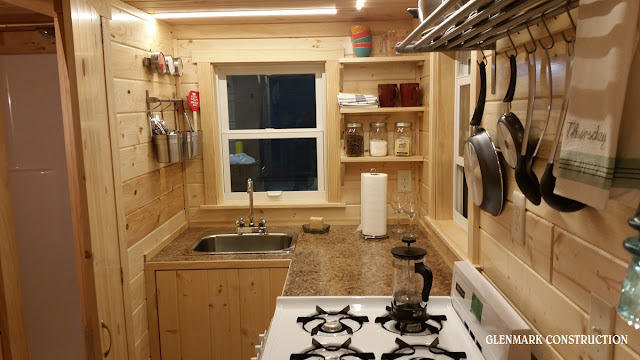 The home has an all wood interior with an L-shaped kitchen, bathroom, a ladder-accessible loft bedroom, and a second loft that's perfect for storage. 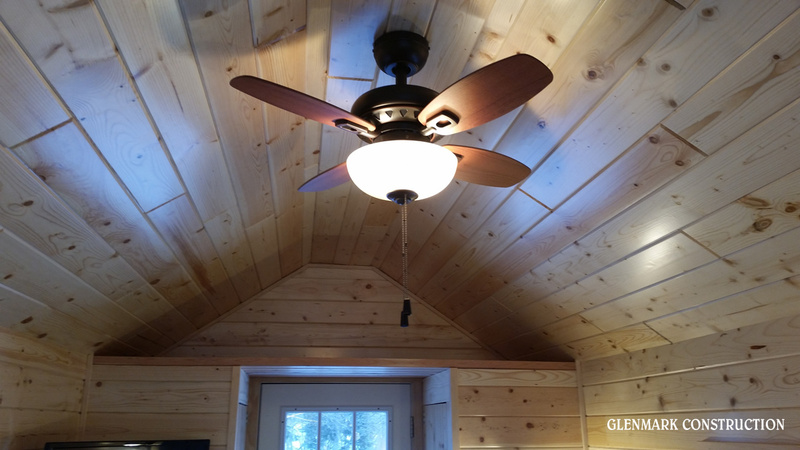 There's also a relatively roomy living room with a built-in sofa, built-in shelf space, and a ceiling fan. 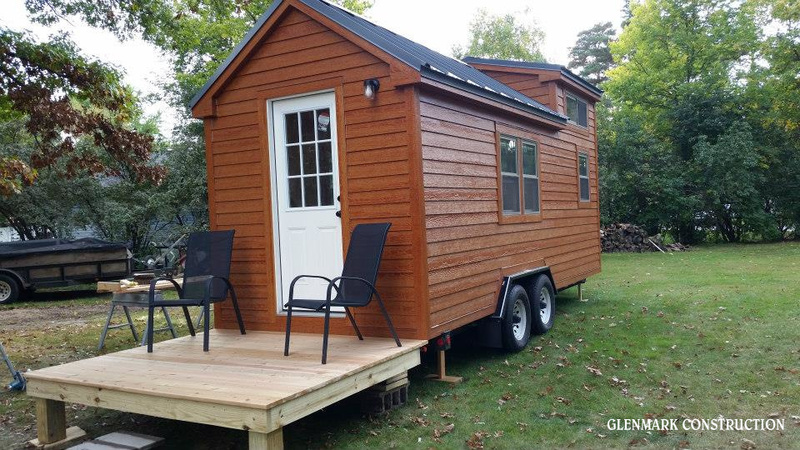 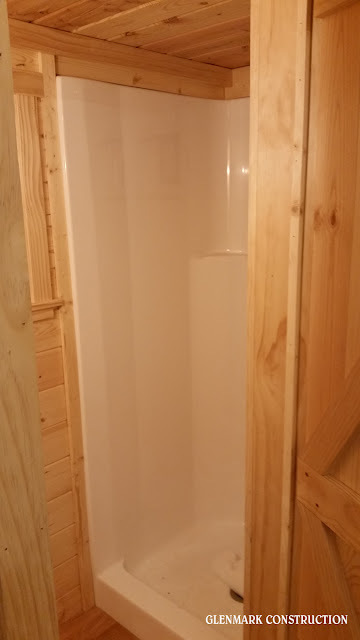 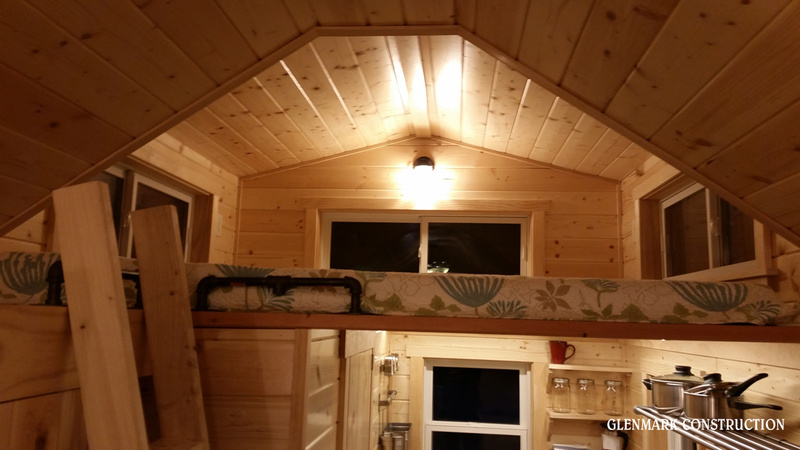 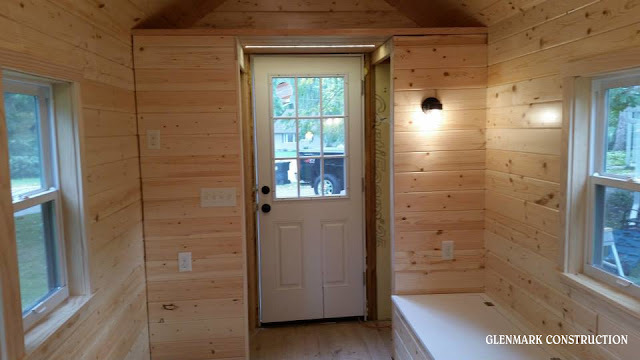 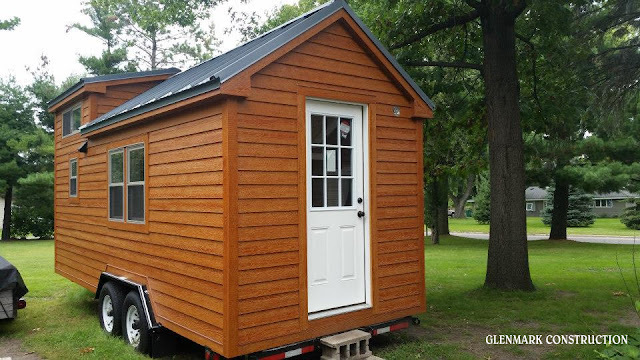 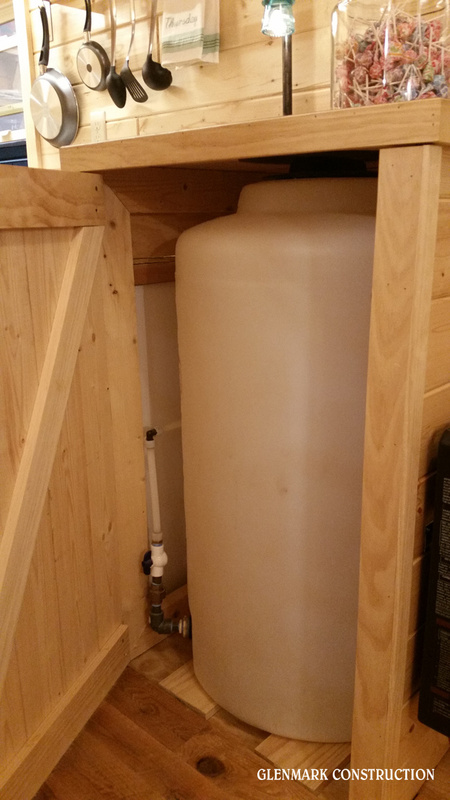 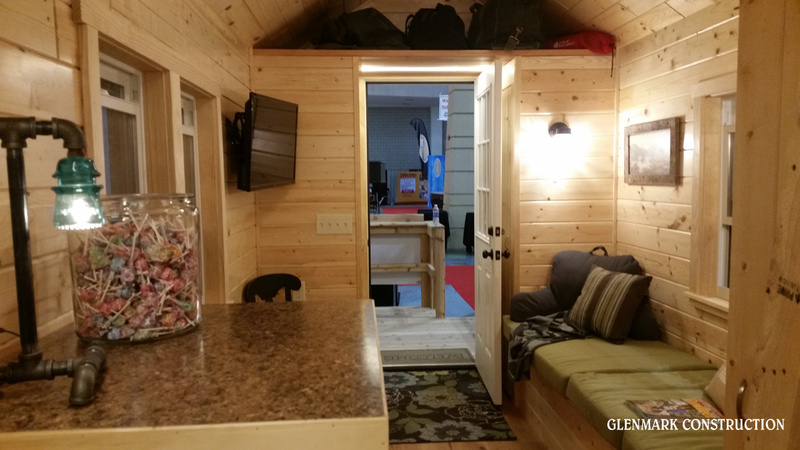 For more information on this tiny house, contact Glenmark Construction here! 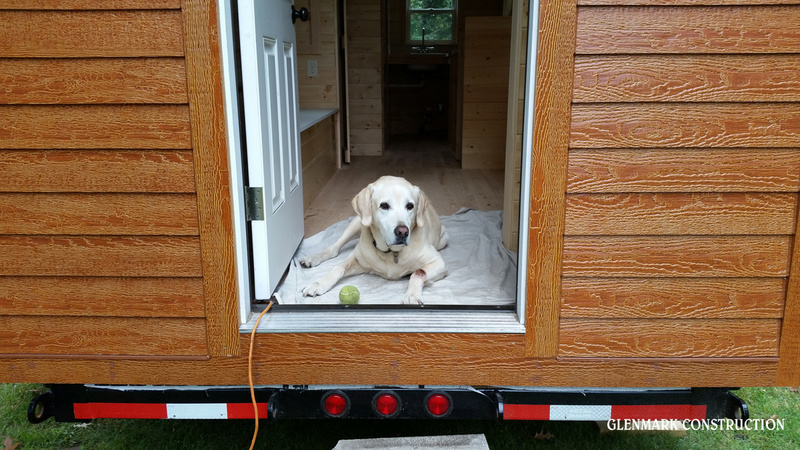 And to answer your questions about the cute little pupper below; yes, he is a good boy but, no, he doesn't come with the home.